What’s wrong with you, Staples at South Keys? I like Staples stores. I often shop at Staples stores, and not just for office supplies… I find that they have a reasonable lineup of computer and office electronics products, too, and sometimes I find “no frills” accessories at Staples (e.g., a plain PC keyboard with no fancy lights, buttons, or extra functions) that are difficult to find elsewhere. Recently, a friend of mine (let me call him Sam; that is not his real name, but it will make it easier to tell the story) was contemplating the purchase of a Microsoft Surface Pro 3 tablet. Much to my delight, I saw that Staples, specifically the Staples store at the South Keys mall in Ottawa, already had them in stock. So I naturally suggested to Sam that he should consider purchasing one there. After all, beyond supporting the local economy, a purchase in a brick-and-mortar store also means you have readily available support in case something goes wrong, instead of having to deal with someone from the Philippines over the telephone and then leave an expensive device at the mercy of a courier company when you need service. Well… I was really wrong on that one. What happened is that Sam indeed went ahead and purchased his Surface Pro 3. As he also had a nice, older flat panel display with a VGA connector, he wanted to purchase an appropriate adapter. The Surface Pro 3 has a DisplayPort plug, which has become pretty much the new standard, capable of delivering images at ultra-HD resolution. Now Sam wasn’t (yet) interested in UHD, but he certainly wanted to be able to view his new tablet/laptop comfortably at home, taking advantage of a larger screen. He also wanted a VGA adapter in case he might use the Surface Pro 3 in the future to give talks; many institutions still have projector facilities that are equipped with a standard VGA cable. The first adapter sold by Staples was an adapter for the Surface Pro and Surface Pro 2. When Sam tried it at home, the adapter did not work. He returned it to the store, where they informed him that the Microsoft adapter is not compatible with his Surface Pro 3. (Could it be that they actually sold the micro-HDMI adapter that is for the Surface RT?) They exchanged the adapter for another, made by Apple, which was supposed to be generic and work with any DisplayPort device. Except that it didn’t. When Sam plugged in the adapter, the Surface Pro 3 recognized the monitor, but no picture was displayed. So Sam returned to the store, this time with Surface Pro 3 in hand, asking them to help again and perhaps demonstrate how he is supposed to accomplish this supposedly simple task: connecting his new tablet to a VGA display. After trying several monitors (the store staff carefully avoided touching Sam’s device; he was asked to plug in the cables into his own tablet) with no success, the sales clerk concluded that the tablet’s DisplayPort connector was faulty. So Sam asked to have his Surface Pro 3 replaced. Sure, they told him, they can do that as he is still within the store’s 14-day return policy window. When Sam revealed that he only had a photocopy of the receipt (the original was with his employer, as it contained other items as well, for which he was reimbursed) the clerk told him that only the original receipt is accepted. This being a Friday, waiting until Monday was not an option as the 14 days were almost up. So Sam rushed back to get the original receipt and then returned to the store to arrange the replacement. However, the store refused his request. Their technician examined the device and concluded that the DisplayPort socket must have been damaged by Sam. They explained that they can only replace a device that can be repackaged and sold. They also told Sam that it was all his fault; he should have purchased an extended warranty. Bottom line: the store told Sam to try his luck with Microsoft, as they had absolutely no interest in resolving this matter to Sam’s satisfaction. The risk that they might be stuck with a device that would not be accepted as a warranty return by Microsoft was not acceptable to them. Needless to say, Sam was extremely disappointed. He wowed never to shop at Staples again (at South Keys or anywhere else). Indeed, he decided not to consider purchasing a nice UHD monitor that I saw at this very Staples, and which I recommended to him. When Sam returned home, he phoned Microsoft. He gave them the details of his story. When Microsoft understood that the device was purchased less than 14 days earlier, they immediately offered to replace it, no questions asked, free of charge. Sam gave them a credit card number for security, and the replacement Surface Pro 3 arrived the following Monday morning, shipped over the weekend. Sam then returned the damaged device using the shipping label that Microsoft provided; tracking the package, he ascertained that it has since been received by Microsoft. 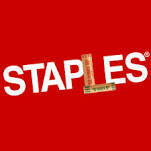 I felt very bad about this affair, since I was the one who recommended Staples to my friend in the first place. I thought a lot about what happened to him. Was Staples right? Well… let me assume that their interpretation of the facts is absolutely correct and that there were no ulterior motives (I have my doubts, especially in light of their snide comments about Sam’s failure to purchase a worthless extended warranty, but let me give them the benefit of the doubt.) Well… perhaps what they did was legal, but it was still insanely bad policy. First, Sam did not do anything inappropriate with his new tablet. He was not trying to use it to swat flies, chop trees, or paddle his boat. He was trying to connect a device that was, in fact, provided to him by Staples. So even if it was his hands that caused damage to the connector, I’d argue that Staples bears at least some responsibility. Second, Microsoft would likely have accepted the return from Staples just as easily as they accepted it from Sam (unless Staples already had a bad reputation with Microsoft with an excessive percentage of warranty returns.) The actual damage is arguably the manufacturer’s fault (a connector should be a little more resilient than that) and in any case, in an appropriately equipped service center, the repair (disassembling the device, desoldering the faulty connector, soldering in a new connector, reassembling and testing the device) would consume no more than a few minutes of a qualified technician’s time. Third, and most importantly… Even if there was some risk to Staples, isn’t it precisely why we pay a premium and make purchases at brick-and-mortar stores? At the very least, we would expect better support from a local store than the standard set by online retailers like, say, Amazon or TigerDirect. And sometimes, we get that level of support, even from retail chains that compete with Staples directly. I am thinking about Future Shop, specifically the Future Shop store on Ogilvie Road. A few years back, I purchased a digital camera and photo printer there, as a gift for my Mom in Hungary. I asked the clerk if the printer (which also served as a charger) came with a universal adapter that would work in Europe. Sure, I was told, all adapters are like that nowadays. Yet a few weeks later, as I was setting up the printer in my Mom’s Budapest apartment, the moment I plugged it in, the adapter went up in smoke… sure enough, its label read, 90-120V AC or something like that. My fault. I should have read the damn label. Still, upon my return, when I next visited the same Future Shop store, I recounted my sad tale to a clerk, and also told him that I was able to find a replacement adapter online, and shipped it to my Mom. Guess what… the clerk asked me to wait a little, vanished for a moment, and returned with a manager who asked me to retell my story. When I was done, he told me that Future Shop would reimburse all my expenses in the form of a gift card. I protested, as it really was my fault! No, they told me, they stand by their products and the advice given by their store clerks, so if I was misled, even if inadvertently, they should reimburse me. And they did. This happened a number of years ago but I remain a frequent visitor at that store, and in Future Shop stores in particular, ever since. Now this is how a brick-and-mortar store can still hang on to its customers, despite the online competition. Not the way Staples South Keys treated my friend.